In many industries, time is an employer’s most valuable asset. Learning how employees spend their time, how much time should be allocated per project, and how much time a client is actually taking up are all essential considerations to keep a company running efficiently. While in the past, companies may have hired IT experts to scrub emails and log keystrokes, many employers today choose to use a much friendlier approach: time tracking software. 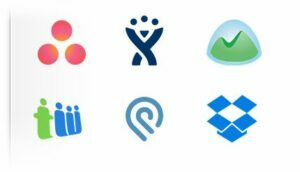 With so many time tracking applications available, it can be hard to decide which is best for your company. Take a look at our experience at Coalition Technologies to learn more about the best resources we’ve found to manage our time. At Coalition Technologies, we use a number of different tools (some that we created ourselves) to track projects and employees. Since we’re a global team with employees around the world, we need efficient management and tracking software to ensure cohesion among the entire staff. From Basecamp to our internally created Scoretask, we strive to get everyone on the same page for all client projects. 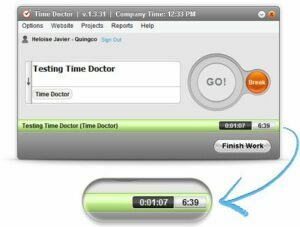 One of the applications used by every member of our team is Time Doctor. Accurate tracking to the second. Time Doctor also nudges you when you may be distracted from work. If you haven’t moved your mouse or typed on your keyboard for several minutes, or when you visit websites that are known time wasters (Facebook, Youtube, etc. ), a pop-up will appear to remind you that you should be working on a specific project. According to the Wall Street Journal, computer access has led to a dramatic decrease in productivity from employees, and it’s not all from time spent on social media. Many companies have found that employees are spending too much time managing their inboxes and communicating internally. If you’re finding that projects are running over budget or certain clients seem to be taking up a disproportionate amount of resources, time tracking may help you weed out the culprit. Sometimes, distracted workers are the issue, but other times, extra time is justified by the additional revenue generated from certain clients. When the problem stems from employees wasting time, tracking software gives you an insight into their work processes. You can analyze employee activity to maximize efficiency and help employees learn how to manage their own time and identify areas for improvements. Rather than an invasion of privacy, time tracking helps to identify poor performers and limits susceptibility to distractions, as well as encouraging members to stick to project timelines and allocate resources more effectively. If it seems that employees are highly productive, yet certain projects are still taking up too much time, you may need to analyze the ROI on these particular tasks. Instead of dropping a client or pulling resources away from their projects, use time tracking reports to compare resource allocation and revenue to help you decide if your company is really on track. Inaccurate Estimates: Time tracking sometimes relies on a user estimating and inputting his or her own time, and there is no “real time” tracking. Manually Added Time: Adjustments made after the fact are a big issue in tracking softwares, as there is no way to know if the time was “real time” or a manual addition. No Specific Block Allocation: 95% of web based time tracking applications allow employees to supposedly work on two projects at the same time. Forgetfulness: Unless prompted, most people forget to track specific projects and break times throughout the day. 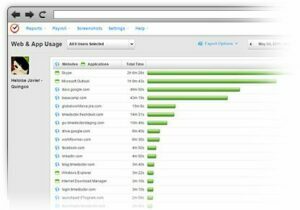 True Tracking: While application and website usage is generally tracked, other softwares don’t provide proof positive of employee work. With Time Doctor, there is “real time” tracking that ensures users indicate a specific project. This tracking is designated differently from edits made throughout the day. 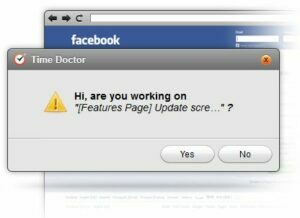 Time Doctor also prompts users when they visit problem websites, or if there are no keystrokes or mouse movements for several minutes. Employers and employees can view their progress, not only through application and web tracking, but also through screenshots taken every 3-5 minutes throughout the day. Time Doctor is especially useful to ensure remote workers stay on task, and for freelancers who work for several different companies, as they can use the same account to switch between each employer. There are two popular features that Time Doctor doesn’t offer: Website Blocking and Silent Time Tracking. Since they prefer a friendlier approach to tracking and advocate employee monitoring only, website blocking isn’t an option. Time Doctor also avoids silent monitoring, as it monitors applications only and doesn’t require data entry, offering an incomplete tracking assessment. Since we implemented Time Doctor with the Coalition team, productivity has gone up significantly. We’ve also been able to better prioritize our clients and allocate the appropriate amount of time for each project. Billing clients is also much more accurate with the analysis from Time Doctor, and it’s much easier to show clients exactly what we’ve been doing for them. If you want to explore time tracking software, Time Doctor offers free trials and free subscriptions with limited capabilities. Check out everything time tracking software can offer you today!